Located in the heart of Poway’s business district, Upstairs Hair Salon has been premiere salon for over 20 years where you are sure to find quality hair care at affordable prices. Our peaceful salon offers a serene environment ideal for anyone seeking a professional stylist without all the fluff. Our friendly team of experienced stylists are dedicated to ensuring you leave feeling your very best. 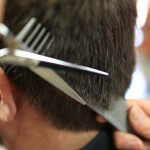 Whether you need a quick trim or a complete salon experience, our stylists excel at finding the perfect fit for you. At Upstairs Hair Salon we offer a wide variety of products and services catered to meet your personal hair care needs. Our talented team of tenured hair stylists, estheticians, and make-up artists ensure you look fabulous no matter the occasion. If you are an experienced stylist or nail technician and are looking for the perfect place to settle in, look no further.